​Epic bushwalks and camping expeditions, getting out on the water in a kayak, canoe or sailboat or even going up in a plane on a visit to the Air Activity Centre are just some of the adventures Scouts get up to! District Scout Camp at Cataract. What a great weekend was had by over 150 scouts and leaders. The scouts managed to cram into the weekend the patrol setting up camp, cooking their meals, sitting around the fires and telling tall tales ! (they must get it from their leaders ), climbing 10 mtrs up on the high ropes course and balancing on logs , ropes, wire and cargo nets, giving the giant see saw a workout, learning to put on a harness and then being hauled 10 mtrs into the air and released on a huge swing. The 25th National Australian Scout Jamboree is on from 4 to 13 January 2019 at the brand new $100 million Bend Motorsport Park at Tailem Bend, the Murraylands, South Australia. Over 10,000 Scouts from all across Australia and the world will make the Jamboree campsite South Australia’s fourth largest town – imagine the new friends you’ll make! Here’s just some of your AJ2019 Experience! Brookvale Hall Bring packs/food . ready for weigh in. Bring A1 form. 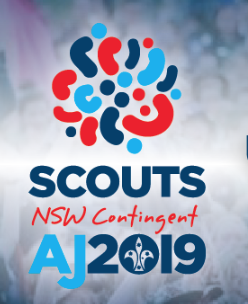 Australian Jamboree 2019. The big event!